Photo: Richard Lane/Richard Lane Photography. Leicester Tigers v London Wasps. Aviva Premiership. 19/02/2011. 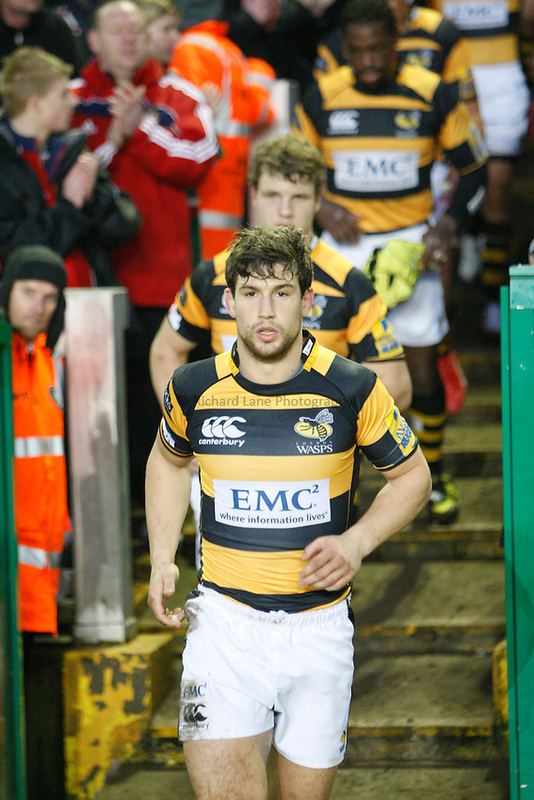 Wasps' Dominic Waldouck runs out.